BUTUAN CITY, June 6 (PIA) -- Three Philippine Army solders were killed during a brief encounter with suspected members of the rebel New Peoples Army (NPA) at the vicinity of Sitio Kabuluhan, Brgy Buhisan, San Agustin, Surigao del Sur. The incident happened 9:45 a.m. of June 4. One solder was also wounded. The soldiers beloned to the 29IB Charlie Company stationed in Surigao del Sur province. It was uncertain whether the enemy troops suffered casualties. BUTUAN CITY, June 6 (PIA) – Over 6,800 farmers are expected to benefit from the Social Security System’s (SSS) partnership with a multi-awarded local cooperative, which will pave the way for the social protection of thousands of agrarian reform beneficiaries in Caraga region. In a press conference held Thursday here, SSS President and Chief Executive Officer Emilio de Quiros, Jr. said the Baug CARP Beneficiaries Multi-Purpose Cooperative (BCBMPC), which operates eight branches in Agusan del Norte, Surigao City and Bayugan City, will earn the distinction as the first SSS servicing partner agent (SPA) based in Mindanao. The four organizations earlier accredited as SPAs are all based in Luzon. “Our tie-up with BCBMPC is a major step towards our vision of universal social security coverage. We want to reach out to informal sector workers, no matter where they are, because they often have little access to social security,” de Quiros said. De Quiros added that farmers, in particular, are vulnerable because their tasks are physically demanding and their income is largely dependent on the whims of nature. As an accredited SPA, BCBMPC can receive its members’ applications for SSS registration, salary loans and funeral claims. SSS will also intensively train BCBMPC’s designated representatives on SSS programs and procedures to ensure correct delivery of their non-collection services. De Quiros and BCBMPC Chairperson Magdalina Tiu will sign the memorandum of agreement during ceremonies at the BCBMPC office at the municipality of Magallanes in Agusan del Norte on Friday, June 7. “Our target is to cover 90 percent of BCBMPC’s more than 7,500 members, most of whom are farmers. We want them to become active SSS members, whether they are first-time registrants or previously-covered members who have stopped contributing,” de Quiros said. Since it began operations in 1995, BCBMPC has received over 20 awards for its exemplary services such as loans granting; handling of deposits and special savings; operating a consumers store to help members sell their products; and managing the Pinoy Coop ATM network, Caraga’s first ATM cooperative and the country’s first ATM service for agrarian reform beneficiaries. In 2012, BCBMPC garnered six distinctions, including four Gawad Pitak awards from the Land Bank of the Philippines, one Sipag award from the National Livelihood Development Corporation and one Gawad Parangal award from the Cooperative Development Development Authority(CDA). “SSS, like BCBMPC, aims to empower farmers through safe and secure programs that help them prepare a bright future for themselves and their families. We are happy that our first partner in Mindanao is a stable and trusted organization with an excellent track record in taking care of its members,” de Quiros noted. In a show of support for SSS programs that help poverty alleviation, BCBMPC shouldered the cost of production and delivery of the AlkanSSSya unit for the use of nearly 100 members of the Magallanes Cabadbaran Tricycle Operators and Drivers Association (MCTODA). “Some MCTODA members are also farmer-members of the BCBMPC. Apart from being partners, they also work as tricycle drivers in-between cropping seasons while waiting for their harvest to grow,” de Quiros said. BUTUAN CITY, June 6 (PIA) – The Social Security System (SSS) announced its new guidelines on contribution payments of voluntary members aged 65 and above who lack the required 120 monthly SSS contributions mandated by law to qualify for retirement pensions. SSS President and Chief Executive Officer Emilio de Quiros, Jr. made the announcement and called on members who are 65 years old or over prior to April 1, 2013, but have not reached the required member contributions of 120 months to qualify for retirement pension, to continue paying the remaining months but they must first file an application on or before July 1, 2013. "Members affected by the new policy must file an ‘Application for Voluntary Payment of Contributions for Members Aged 65 and Over’ within the prescribed period so they can complete their 120 contributions and be eligible for retirement pension… Otherwise, they can only receive a lump sum benefit instead of the lifetime SSS pension," de Quiros said. Under the Social Security Law, members aged 60 and above must have at least 120 months contributions to qualify for retirement pension. Those with less than 120 will be entitled to a lump sum retirement benefit equal to the total amount of paid SSS contributions plus interest. "With these new rules, members facing technical retirement can continue to pay contributions to be eligibile for pension benefits. At the same time, this allows SSS to keep the fund viable by ensuring that retirement pensions are funded by the requisite contributions," de Quiros said. 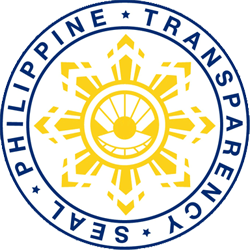 The new guidelines also state that members who will turn 65 years old on or after April 1, 2013, shall be allowed to continue paying contributions to qualify for retirement pension, provided that the member must have been covered by SSS at age 55 or earlier, and must have at least 80 monthly contributions by age 65. De Quiros said those who have not been covered before age 55 cannot complete the 120 contributions. Also, they must file the same application form within the month following their 65th birthday if they intend to complete the required 120 contributions before filing their retirement claim. "As an example, the deadline of application for a member who turns 65 on May 1, 2013 will fall on June 30, 2013. We want to emphasize that failure to file the application form on or before the deadline will bar the member from completing the 120 contributions," de Quiros said. "In effect, their retirement benefit will be in lump sum instead of a monthly SSS pension." Upon approval of their application, members must pay the contributions continuously every month or quarter based on their last monthly salary credit (MSC) bracket until they reach the required 120 contributions. A decrease in MSC bracket will mean stoppage of the contribution payments, while those who pay above the approved MSC will get a refund for their excess payments. "No contributions shall be applied retroactively nor shall payments be accepted beyond completion of the 120 months. As for members who are currently getting SSS pensions for partial permanent disability, they can start paying contributions in the month after their disability pension has ended," de Quiros said. BUTUAN CITY, JUNE 6 (PIA) -- The Social Security System (SSS) collected a total of P4.76 billion in contributions from members in Visayas and Mindanao from January to March 2013, up by nine percent from its P4.35-billion collection during the same period in 2012. This was disclosed by SSS President and Chief Executive Officer Emilio de Quiros, Jr. during a "Kapihan sa SSS" with members of the local press. "Our accomplishments in Visayas and Mindanao, as well as in Northern Mindanao, are in step with overall SSS performance during the first quarter, which is characterized by higher contribution collections complemented by improved management of benefits," he said. Vis-Min benefit payments for January to March 2013 amounted to P5.4 billion, of which P4.83 billion were for retirement, death and disability benefits; P205.11 million in maternity benefits; P258.83 million in funeral grants; and P101.87 million for sickness, medical services and rehabilitation. "Total benefit payments in Vis-Min decreased by four percent compared with the P5.6 billion total for the first quarter of 2012. For Northern Mindanao, benefit disbursements slightly rose by one percent this year to P833.2 million," de Quiros said. The SSS enhanced its Annual Confirmation of Pensioners (ACOP) program in 2012 to ensure that only rightful beneficiaries receive SSS pensions. Early this year, the agency further improved the ACOP by basing the compliance date on the member’s birth month to help pensioners remember their annual schedule for confirming their continued eligibility for pension. The "AlkanSSSya" microsavings program and accreditation of organized groups as collecting and servicing partner agents helped bolster the pension fund’s efforts to widen SSS coverage and encourage more workers to save for retirement through active SSS membership. "We have stepped up our campaign to reach out to workers in Northern Mindanao, with the AlkanSSSya launch for the Magallanes Cabadbaran Tricycle Operators and Drivers Association on June 7. We will also sign an agreement on the same day with the Baug CARP Beneficiaries Multi-Purpose Cooperative for the SSS coverage of over 6,800 farmers," he said. BUTUAN CITY, June 6 (PIA) -- Secretary of the Interior and Local Government Mar Roxas issued Memorandum Circular No. 2013–46 dated May 30, 2013 to mandate Local Chief Executives, including Punong Barangays to support the Oplan Balik Skwela (OBE) 2013 implemented by the Department of Education (DepEd). The Memorandum is to ensure that proactive efforts are being done within the area of jurisdiction of LGUs in providing assistance to schools during the opening of classes. BUTUAN CITY, June 6 (PIA) -- The POPCOM-Caraga has a new head, as Regional Director Camilo S. Pangan retired from service. The agency will be headed by officer-in-charge Alexander A. Makinano. Among Pangan's major accomplishments is the formation of the Adolescent Health and Youth Development Program (AHYDP), which he considered as one of his legacies is the establishment of youth center in the different areas of Caraga Region. The youth center, now operational in Surigao City, Province of Dinagat Islands, Bislig City and Surigao del Sur, is a one-stop-shop center which caters the various concerns of young people along sexuality-related issues and concerns. Aside from the establishment of youth centers, former Director Pangan also introduced innovative ideas in the implementation of the Responsible Parenthood-Family Planning (RP-FP) program which was also replicated by the other regional population offices. On the other hand, Mr. Makinano has been managing the over-all technical operations of POPCOM-Caraga for the last 16 years. His assumption took effect upon the released of an office order signed by Acting Executive Director Rosalinda Marcelino on March 10, 2013. “My designation as Officer-In-Charge of POPCOM is a very challenging job to ensure that the main thrust of the Philippine Population Management Program (PPMP) would be effectively and efficiently implemented as aligned with the overall thrusts of the P-Noy administration.”, Mr. Makinano quoted. BUTUAN CITY, June 6 (PIA) – The Social Security System (SSS) will launch June 7 its innovative microsavings scheme called "AlkanSSSya" for the social protection of nearly a hundred public transport workers in Agusan del Norte, a program which has also drawn the support of a local cooperative. SSS President and Chief Executive Officer Emilio de Quiros, Jr. said members of the Magallanes Cabadbaran Tricycle Operators and Drivers Association (MCTODA) will drop in their first-ever savings in their very own AlkanSSSya unit, the fabrication of which was subsidized by the Baug CARP Beneficiaries Multi-Purpose Cooperative (BCBMPC). De Quiros also said public transport workers such as tricycle drivers are especially vulnerable to road hazards and pollution, which can affect their capacity to earn for their family. With the AlkanSSSya, MCTODA members will have SSS to depend on during times of financial contingencies. "In support of SSS efforts to promote social protection, the BCBMPC voluntarily subsidized the cost of the AlkanSSSya unit for MCTODA members," de Quiros added. All of MCTODA’s 98 members will have their own coin slot in the AlkanSSSya unit, which houses a total of 160 slots. BCBMPC is open to granting the remaining 62 slots to its own members as well as to other informal sector workers who wish to store their daily SSS savings in the AlkanSSSya. AlkanSSSya participants at present include TODA members, market vendors, golf club workers, garbage pickers, jail inmates, barangay employees, farmers and fisherfolk. The SSS Butuan branch is in talks with a women’s group, a local government unit and a pump boat workers’ association for their future participation in the program. "The AlkanSSSya makes it easy and affordable for informal sector workers to save as little as about P12 per day for monthly SSS contributions. Their accumulated savings wil be picked up by an SSS collecting agent at the end of every month, making it convenient for them to remit their contributions," he said. Among those expected to attend the AlkanSSSya launch are officials and representatives from the local government, the SSS, MCTODA and BCBMPC. The Magallanes head office of BCBMPC, which is a multi-awarded cooperative that provides financial services to farmers and other marginalized workers in Northern Mindanao, will serve as the event venue. Further, the official said June 7 will be a double-celebration day as the AlkanSSSya launch immediately follows our signing of a memorandum of agreement with the BCBMPC for the social protection of its 6,800 farmer-members. UTUAN CITY, June 6 (PIA) -- The over-all regional performance of all seventy-seven (77) local government units (LGUs) in Region 13 (CARAGA) accomplished 100% on the LGU Scorecard on Health Online Data Entry as a sub-system of the Local Governance Performance Management System (LGPMS). The Department of the Interior and Local Government (DILG) – Region 13 (CARAGA) was informed and commended on the status of regional performance through an advisory dated May 24, 2013 from the Bureau of Local Government and Supervision. Together with Region 13 that achieved 100% status on regional performance are Regions II, III, IV-B, and the National Capital Region. The LGU Scorecard for Health is a tool to track progress of health reform implementation to measure performance of Local Health Systems. This is integrated to the LGPMS of DILG pursuant to the Memorandum of Agreement signed by the Department of Health (DOH) and DILG as a convergence effort in the generation of performance of local governments. This is one of the scorecards in the Monitoring and Evaluation for Equity and Effectiveness (ME3) of the Department of Health. It is a performance assessment of the combined efforts of stakeholders within the province-wide health system (PWHS), which include the clients and public private providers within the municipalities, cities and provinces in order to highlight LGU performance on health sector services. 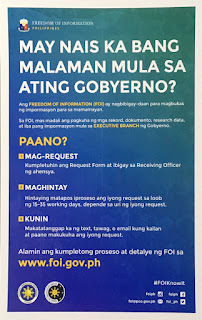 BUTUAN CITY, June 6 (PIA) – Social Security System (SSS) branches nationwide will open for business on four consecutive Saturdays in June to enable household employers and domestic workers or ‘kasambahay’, such as maids, nursemaids or yaya, gardeners, cooks and laundry women, to register with SSS. SSS President and Chief Executive Officer Emilio de Quiros, Jr. said all its branches will be open to issue social security (SS) numbers for domestic workers as well as household employer ID numbers on June 8, 15, 22 and 29 to facilitate their mandatory SSS membership as provided under the Kasambahay Law and the Social Security Law. "As active SSS members, domestic workers realize the fruits of their hard work in the form of SSS benefits for sickness, maternity, disability, retirement and death. SSS also helps household employers from solely shouldering the burden when their househelp faces financial difficulties," he added. The Kasambahay Law, or Republic Act No. 10361, was signed into law on January 19, 2013 to ensure the social protection of household employees under various government agencies, which include the SSS, Philippine Health Insurance Corporation and Pag-IBIG Fund. To get an SS number, domestic workers, including family drivers who are considered household employees under the SSS charter, must fill out and submit the Personal Record Form (SSS Form E-1) to any SSS branch, along with a photocopy of any of the primary documents such as the birth or baptismal certificate, driver’s license, passport, Professional Regulation Commission card or seaman’s book. Those without any primary document can give two secondary documents, both citing their name and at least one indicating their birthdate. SSS branches provide a comprehensive list of accepted secondary documents such as the ATM card, bank passbook, marriage contract, NBI or police clearance, voter’s ID or postal ID card. "Only the Form E-1 and a photocopy of the supporting documents need to be submitted, but they should present to us the original copy for authentication purposes," de Quiros said. "Without the documents, they will be issued a number that may be used for paying contributions and reporting for SSS coverage but not for availment of benefits and loans. They will attain permanent SSS membership status upon submission of these required documents," he added. To secure a Household Employer ID Number, the employer only needs to fill out and submit the Employer Registration Form (SSS Form R-1). Existing household employers who still use their personal SS numbers in paying the contributions of their domestic workers will be given their Household Employer ID Number during their branch visit, via email or mail. Household employers reporting workers for SSS coverage must submit the Employment Report Form (SSS Form R1-A), the Specimen Signature Card (SSS Form L-501), and the SSS Form E-1 of household employees with no prior SSS coverage. De Quiros said the domestic worker’s effective date of coverage, which is the same as the date of employment, marks the start of the respective household employer’s obligation to remit monthly contributions for the household employee. "If the effective date of coverage is earlier than the date of registration, the household employer must submit a ‘Statement of Monthly Salaries’ received by the domestic worker starting from the date of employment indicated in the SSS Form R1-A," he said. The official added this will be the basis for the computation of the accruing contributions that the household employer has to settle. SURIGAO CITY, Hunyo 6 (PIA) – Sugdan ni Presidente Aquino ang iyang hamubo nga pagbisita didto sa Myanmar aron motambong sa 22nd World Economic Forum (WEF) on East Asia Summit ugmang adlawa pinaagi sa pakigtagbo kang Myanmar President Thein Sein. Puno ang skedyul ni Presidente Aquino sa iyang usa ka adlawa nga pagbisita didto sa Nay Pyi Taw, Myanmar, aron tambongan ang plenary sa WEF East Asia Summit ug aron usab personal nga maimbita ang mga delagado sa WEF dinhi sa Pilipinas sunod tuig. Kung mahinumdoman niadtong niaging bulan sa Enero 2013 didto sa Davos gianunsyo sa Presidente nga ang Pilipinas maoy mopasiugda sa WEF on East Asia Summit sunod tuig. Si Presidente Aquino, uban ang mga delegasyon sa Pilipinas, gikatakdang moabot didto sa Myanmar Biyernes sa buntag, ug mobalik ra dayon kini pagkagabii. Human sa iyang pakigtagbo kang Myanmar President Thein Sein, mosunod dayon ang iyang pakighimamat kang Klaus Schwab ang executive chairman ug Founder sa WEF. Motambong usab ang Presidente sa usa ka luncheon meeting nga pasiugdahan sa Ayala Corporation, CEOs ug mga negosyante.